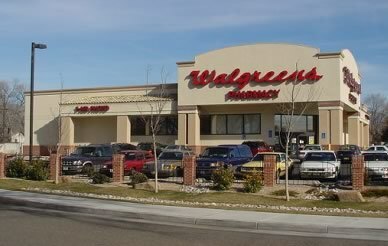 GRETNA – A Walgreens pharmacy is being sued by a woman who claims she suffered seizures after being denied a refill of her narcotic medication after someone else purchased it from the pharmacy without her permission or knowledge. Susan Ferry filed suit against Walgreen Louisiana Co., doing business as Walgreens Health Initiatives Inc. and Walgreens Drug Store, and Summer Troxclair in the 24th Judicial District Court on March 6. Ferry contends that on March 11, 2014 she visited a local Walgreens pharmacy to have a prescription filled for a narcotic medication, but was told it would not be ready to pick up until the following day. The plaintiff asserts that a third party overheard her conversation with the pharmacist, Troxclair, regarding the prescription who went to the pharmacy the following day pretending he was picking up the narcotic medication for Ferry, but instead keeping it for himself. Ferry claims the pharmacy staff never requested photo identification from the person who purchased her medication making it impossible to determine who he was or if he was the proper person to receive the medication. The plaintiff alleges that after it was discovered someone else had purchased her medication the pharmacist at Walgreens refused to have it refilled and as a result of not getting her medication she suffered seizures. The defendant is accused of negligence in dispensing medication, failing to comply with photo identification policy, failing to warn of a third party purchasing medication and vicarious liability. Ferry is represented by attorneys Robert T. Garrity Jr. of Harahan and Peter M. Meisner of River Ridge.